Morning loves! A fresh new inspiration are best to fill the moods of a brand new week. Plus; these lil things are awesome to soothen the blues soul - ahhh.. such a nice feelin'... Back with the usual boards - we still had a thing for glitterys and sparkles since lastweek. Maybe its the double joyous occasion lately (CNY, Maulidur Rasul, Thaipusam + loooong break) which has inspired us to share this lovely board. 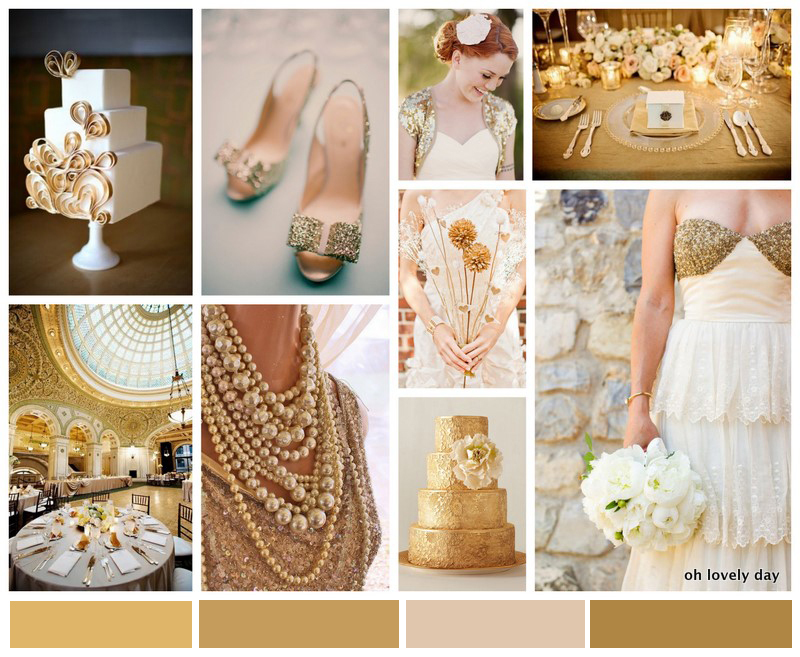 So, for those of you into extravagant weddings - we definitely recomend you this awesome board! They're perfect shades of gold in layered glittery texture, add up more fancy details such as glittery shoes or that gold sequin bolero and pearls - voila - you got a bling bling inspired board!